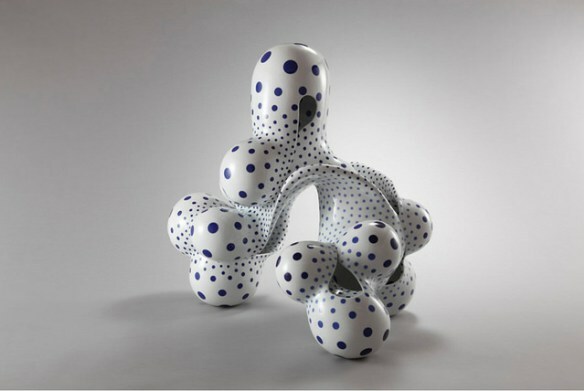 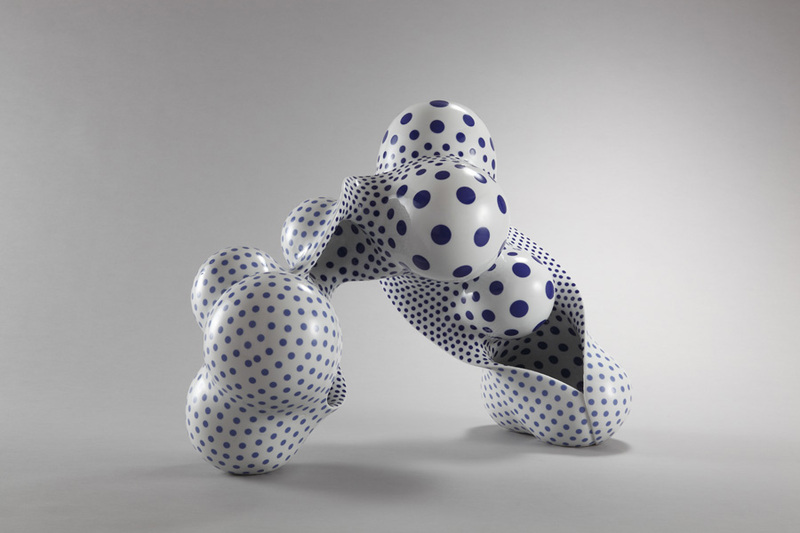 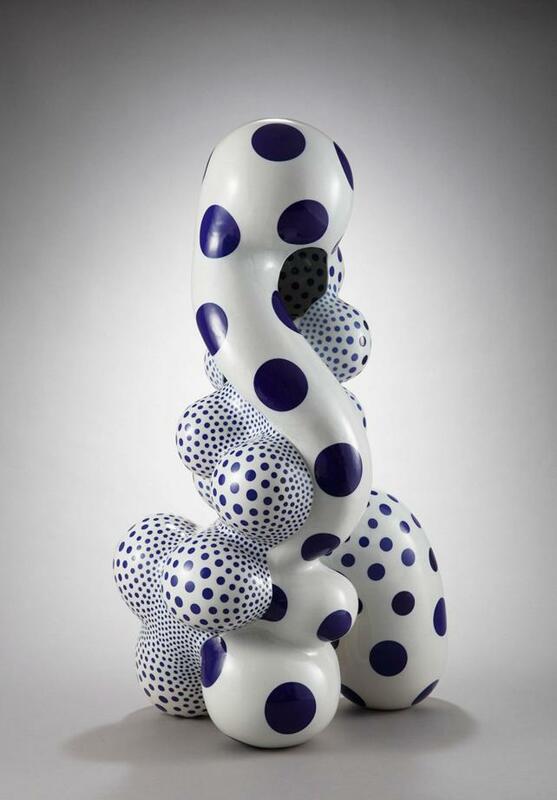 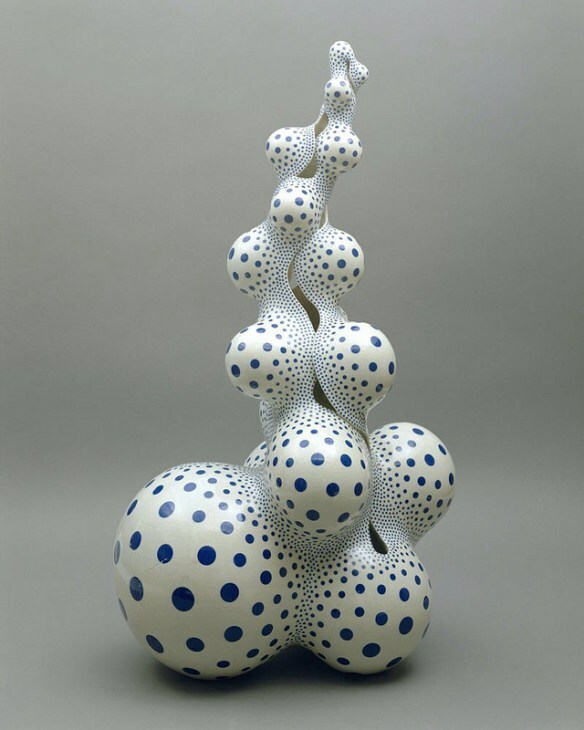 Japanese artist Harumi Nakashima creates biomorphic ceramic sculptures that embellished with blue dots. Nakashima, porcelain sculptures are far from being functional and traditional. 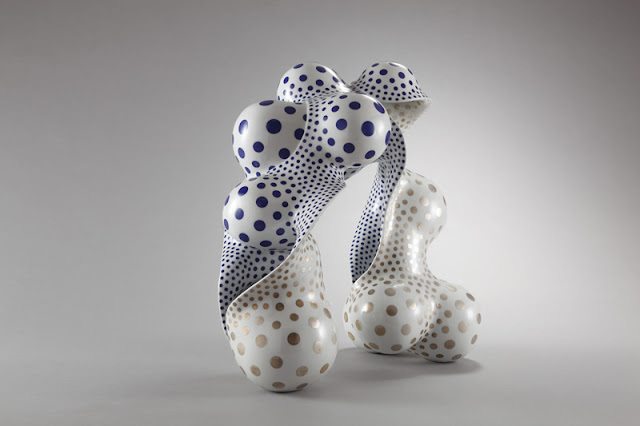 Their gorgeous odd form has a contemporary aesthetic and subtle, refined references to traditional Japanese pottery. 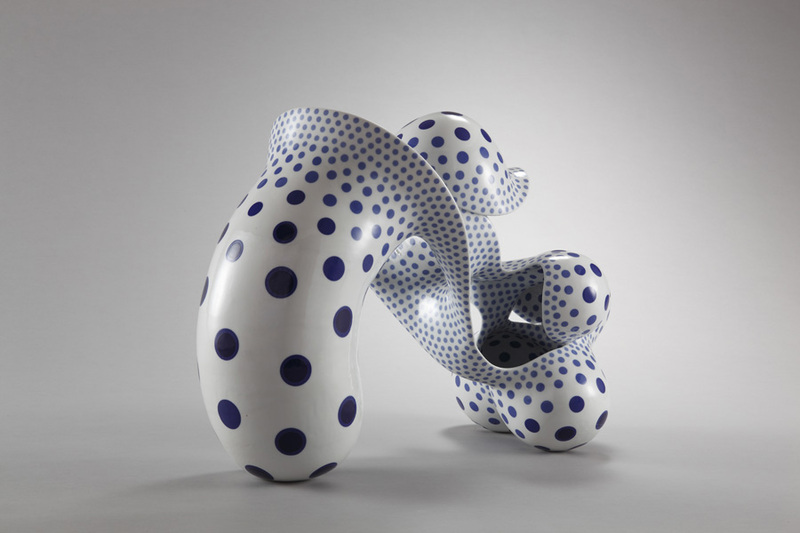 They are both psychedelic and organic at the same time. 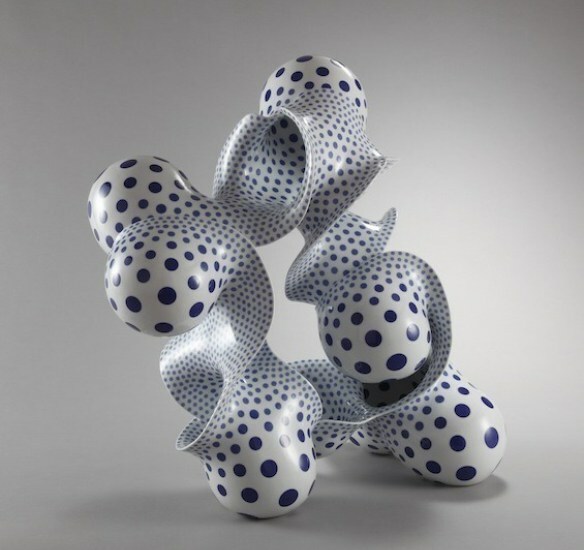 The sculptor often evokes the Sōdeisha art movement, a 1940s reactionary effort against the dominion of Japan’s popular folk-craft styles (especially the traditional, functional aspects of Japanese pottery) and ceramics created for the purpose of tea ceremonies. 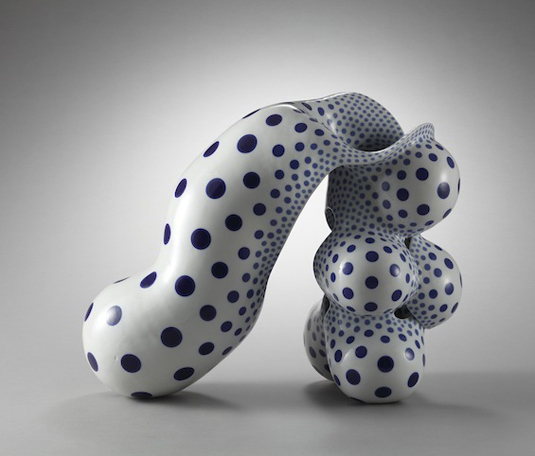 Sōdeisha, known for its modern take on traditional Japanese aesthetics, was disbanded in 1998. 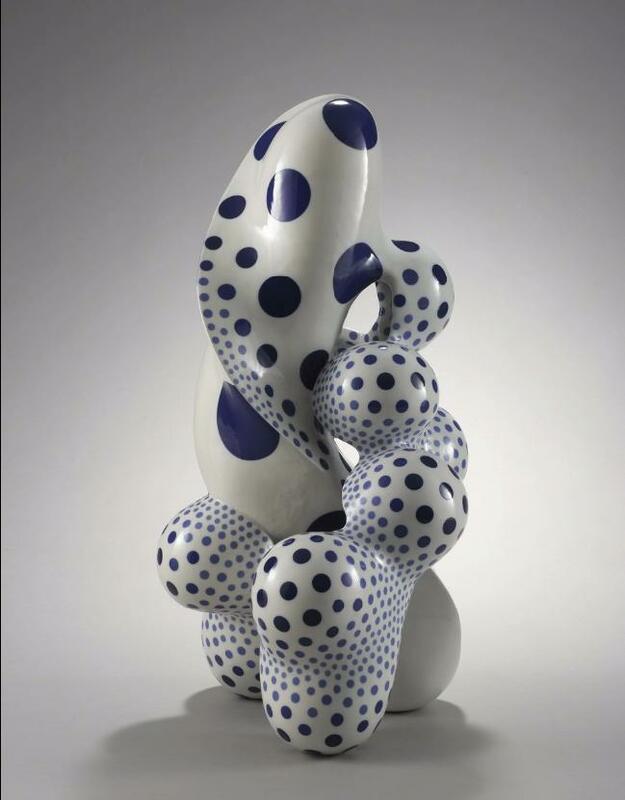 However, artists like Nakashima have thrived tremendously by incorporating Sōdeisha references into their current pieces. 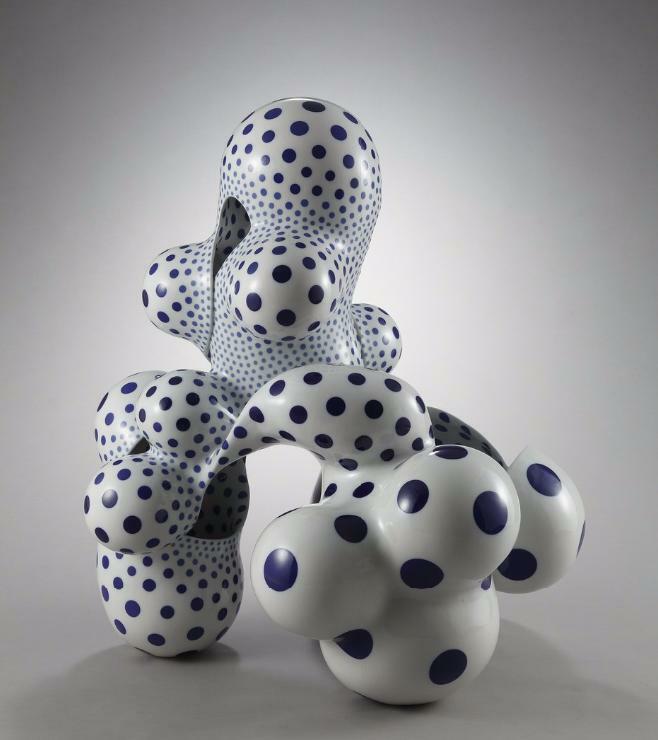 Nakashima has been collected by nearly 20 public institutions the world over, including the Museum of Arts and Design in New York, the Faenza Ceramics Museum in Italy, and the National Museum of Modern Art, Tokyo.